I live in Snohomish County, Washington, north of Seattle. Yesterday I received my election ballot in the mail, since we have all-mail voting in our state. 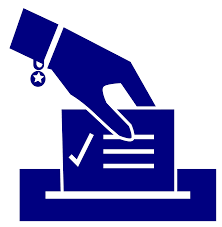 We have races for County Council, County Executive, and various other lower-level offices (City Councils, Assessor, Treasurer, Clerk, Sheriff…). The State of Washington also has “top-two” primaries, where the top two vote-getters make it through to the general election. For the first time, and much to my chagrin, I discovered that both candidates for County Executive and County Council are Democrats. I also noted that, of the 12 down-ballot office candidates, six are unopposed! Now, I generally make a practice of not casting a vote for any unopposed candidate (why would they need my vote anyway?). I also never cast my vote for any Democrat. So where does this leave me? Of the 14 races with any candidates, I will only cast my vote in six races. To add insult to injury, I remembered receiving an email from the top Republican county official in my legislative district, noting that they were looking for people to doorbell for County Council Candidate X, “Canvassing this Saturday for G. T. October 17th 9 am to 11:30AM Campaigning to elect G. T. 2nd District Snohomish County Council. G. is the moderate candidate for this position.” So our Snohomish County Republicans have been reduced to doorbelling for Democrats! Here in Western Washington, which is generally run from the deep-blue Seattle area, the Republicans have been unable to field candidates against the local Dems. I guess we do get the government we let the other party elect. Ed: Cross-posted on Ricochet.com, behind paywall.